I am Benjamin van der Veen. When I was fourteen years old my life was a mess. It was a life of depression and even though I had the support structure, I didn’t want help. You could say that due to external circumstances that it was normal for a hormonal teenager to act like I did, but it wasn’t normal. After trying to take myself out and in the process landing up in hospital, I made my family’s life very stressed. My mother decided to try get some structure into my life (as I had no father figure). 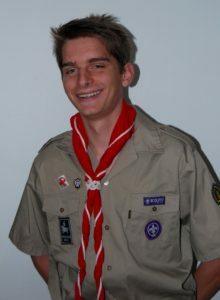 My mother spoke to one of my brothers’ teachers and her friend, whom was married to the local Troop Scouter. She organised that I would attend the first meeting of term. 1) I was scared that I wouldn’t be good enough and that people would hate me instantly. 2) I was exited and nervous because I was starting a new chapter in my life. So when I walked into the hall I was shocked at what I saw, there were people my age just standing around having fun. I was confused, I had expected everyone standing in straight lines and the Troop Scouter barking orders with the occasional “Yes Sir!” being shouted here and there. I must have looked a bit lost (it must have been due to the lack of Khaki) because before I could even process and try to run out the door a Scout came over to me to come andshake my hand and welcome me. When I processed what had been said I was shocked. How could someone who had never met me before trust me to such and extent and make me feel so “wanted”? Well the truth is that when you go to Scouts you don’t become a Scout, you become a family member of the troop and a brother in the world-wide brotherhood of Scouts. So feeling welcomed and happy for the first time in a while, the meeting started. The troop fell in and the night began. It was the first of many nights that I attended and I only missed meetings if I was deadly sick. So what has Scouts done for me? Scouts taught me that no matter what part of the world you come from that you are worth being alive, loved and it was cool to be a part of something good. Scouts quickly gave me a reminder course on discipline, respect and where my place was within my new family. Scouts gave me hope, something that I had lost a long time before. Scouts and Scouting equipped me with the skills to succeed in life. Scouts gave me a new purpose in life and pushed me to reach and achieve my goals. Scouts has done so much for me that I can’t even list everything. If I had not joined Scouts I would have ended up worse for wear and I probably wouldn’t be here writing this. But here I am writing this, to not get sympathy but to inform you of this wonderful thing called Scouts. 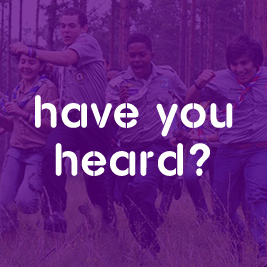 I strongly encourage any one (no matter were you are from) go get involved in Scouts or the Scouting Movement! Go be a part of something good and make a difference in people’s lives! Just like all the Scouts and Scouters that have made a difference and continue to make a difference in my life.